So are you ready to have the most fun and entertaining night of your life?!?! Ok, that may be a little over the top, but we can guarantee the fun and entertaining part! Bring your “A” game for the 1st Annual Brewery Bowl Off at Manor Lanes (1517 NE 26th St, Fort Lauderdale, FL 33305). On Tuesday, August 25th, some of your favorite Florida breweries will compete against one another to see who is the best bowling brewery. They will keep the trophy to prove it! 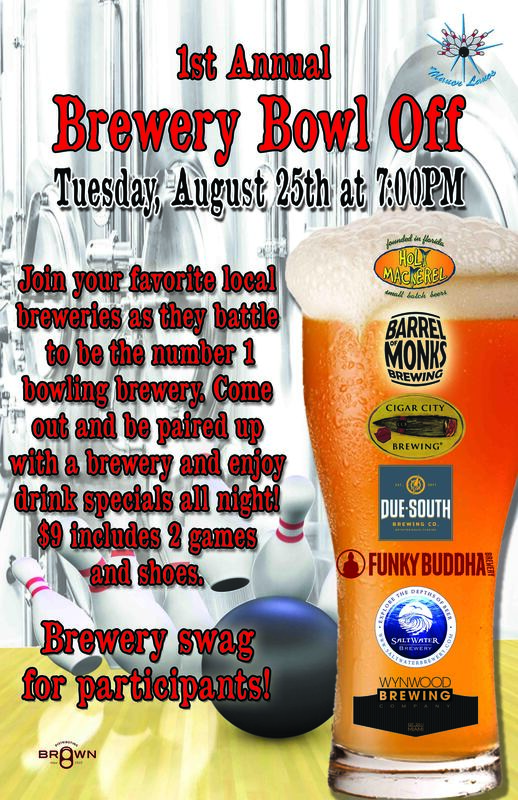 Come join Funky Buddha Brewery, Due South Brewing, SaltWater Brewery, Barrel of Monks Brewing, Wynwood Brewing, Holy Mackerel, and Cigar City Brewing for this epic night of bowling and beer.  To register, please sign-up on the event form. Space is limited! Each brewery will bring representatives to form a team; all guests that come out to join will be paired with one of these breweries and will get to hang, talk beer, get shwag, and help them win the trophy! The trophy will be displayed at the winning breweries tap room and will give them bragging rights. The competition will be two games and the team that has the most combined pins from both games will be the winner! It will only costs $9 for both games including shoes; now that’s a deal! Each brewery will feature some of their amazing beers at the bar and on special for the night for anyone that comes out to join this great event. Not a bowler? That’s ok, still come out and watch all of this go down and be a part of history. 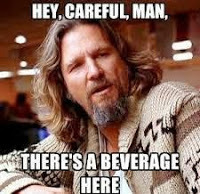 Careful man, there’s a beverage here!